Progressive Goal Attainment Program (PGAP) been recommended for your pain, chronic health condition, or depression. Cognitive Orientation to Daily Occupational Performance (COOP) to treat adults who difficulty performing everyday skills at home and work with an underlying diagnosis such as ADHD, Asperger’s, Learning Disability, Acquired Brain Injury, Cognitive Impairment, Stroke, Mental Health Issue and many others. Contact us for occupational therapy, speech therapy and physiotherapy help in Saint John, Fredericton and Moncton, New Brunswick. Call 1.877.784.5353 or 506.847.0677 for help. Is an injury, illness, disease, disorder, disability or surgery impacting your ability to work or return to work? to diagnose the underlying cause of your symptoms? We can help with therapy at work. We also help you at home to get you ready to go back to work. “…I find myself feeling less stiff at the office and am no longer experiencing pain in my upper thighs. Please pass along my gratitude and appreciation to my OT for her assistance and kindness”. We come to you, providing solutions tailored to your needs! 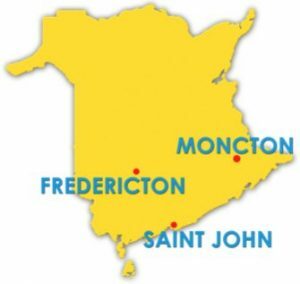 Whether it’s your home, school or at work, our mobile occupational therapists serve Saint John, Fredericton, Moncton and surrounding areas. Help is as close as your phone. Call us discuss your situation.